Maryam was a complete beginners. She booked driving lessons in wellingborough with Adriving school about three months ago. She did weekly driving lessons. She was struggling with awareness and planning close to her driving test. 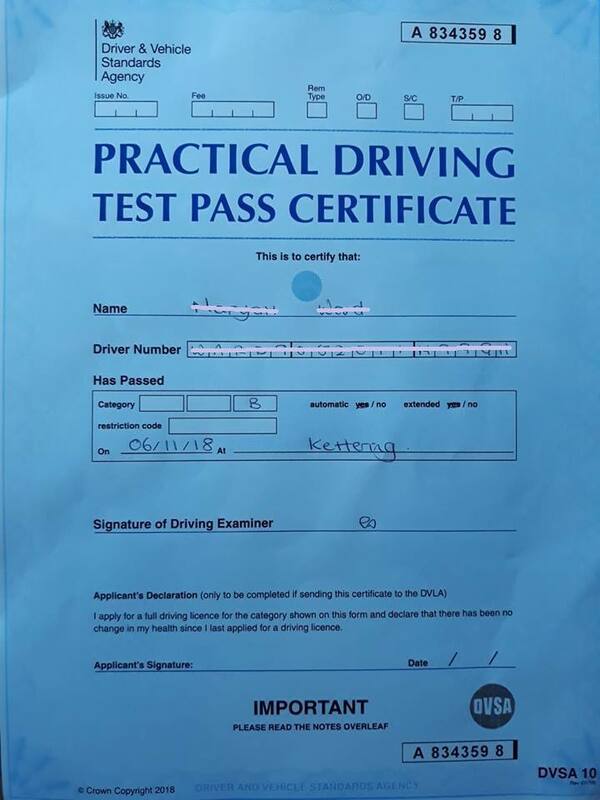 Our expert driving instructor helped her to overcome that problem and finally got her up to the test standard just before the test date. She passed her test on 6 Nov 2018 in Kettering with only 4 minor driving faults. Well done!